Since scientists discovered black holes, which pull everything nearby into a never-ending abyss and effortlessly bend the laws of physics, everyone thought they were at the center of the universe’s dark matter, an invisible, untouchable anti-matter believed to make up a large portion of the universe. The detection of gravitational waves from a collision of black holes in 2015 suggested that the universe’s dark matter could be made up of many black holes. However, new research has brought scientists back to the drawing board. A team of researchers from the University of California, Berkeley examined a statistical analysis of 740 of the brightest supernova that were discovered in 2014 or earlier. 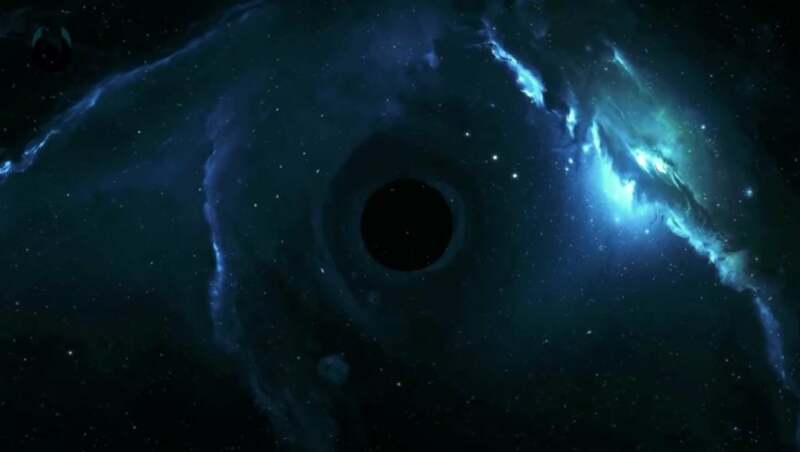 They found that none of those events were magnified by hidden black hole “gravitational lenses.” Based on that, scientists concluded that primordial black holes couldn’t make up more than 40% of the universe’s dark matter. Their results indicate that the universe’s dark matter probably doesn’t consist of massive black holes or any other object of similar size or mass, including halo objects, also known as MACHOs. Scientists believe dark matter makes up about 84.5% of the matter in the universe, despite the fact that no one has ever been able to find all of it. As a result, this is often considered to be one of the most embarrassing problems for astronomers. In attempts to locate all that dark matter, experts have proposed several theories, like that there is more than one type of dark matter. However, even if it consists of several components, the origins of all the components must be explains, so such theories just become more complicated. A yet-unpublished reanalysis of the same supernovas by the same team using an updated list of them dashed their hopes even more, cutting the universe’s dark matter in half to a maximum of 23%. The initial analysis is detailed in a study published this week in the journal Physical Review Letters. The conclusion is based on the fact that an unseen population of primordial black holes, or of any massive object, for that matter, would bend or magnify light from distant objects on the way to Earth. That said, gravitational lensing should affect the light coming from distant supernovas. Zumalacárregui referred to a complex statistical analysis of data related to the brightness and distance of supernovas using two compilations: 580 in the Union and 740 in the joint light-curve analysis (JLA.) He concluded that there are supposed to be eight supernovas that are brighter by a few tenths of a percent as opposed to previous predictions. However, since scientists previously observed how supernovas brighten and fade throughout the time, such brightening has never been detected. “You cannot see this effect on one supernova, but when you put them all together and do a full Bayesian analysis you start putting very strong constraints on the dark matter, because each supernova counts and you have so many of them,” Zumalacárregui said.